Connoisseurs say that the taste of cheese improves with age – but what if it was left to age for 3,200 years? Archaeologists in Egypt now have the chance to find out, but it comes with an unexpected bonus: deadly ancient bacteria. A team from the University of Catania in Italy found the cheese at the tomb of Ptahmes, a 13th-century BC mayor of Memphis in Egypt. The cheese was found wrapped with canvas inside a broken jar. 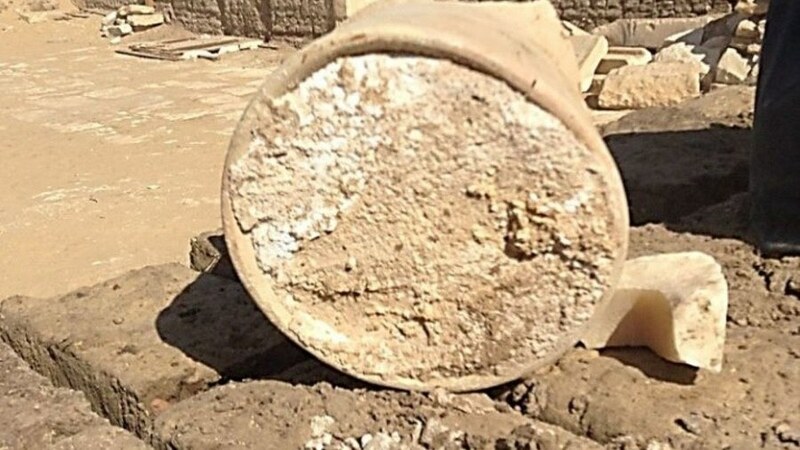 It could be the most ancient cheese ever discovered, according to the team’s study, published in the journal Analytical Chemistry. Ancient Egyptians may have dodged a potentially life-threatening bout of illness by not eating the cheese, after researchers found the specimen contained signs of a bacterium known to cause brucellosis, a deadly disease spread from animals to people via unpasteurised dairy. The tomb of the Memphis city official was found to contain murals showing various barter scenes featuring cheese, a product that had a medicinal use in ancient times. It is also thought that cheese was included in feasts buried alongside wealthy Egyptians. “Until now, we were not sure whether it was really part of the daily life of the ancient Egyptians,” said Greco. “We do not have much information on what the taste could be, we know it was made mostly from sheep’s and goat’s milk, but for me it’s really hard to imagine a specific flavor,” he added.